Ultimate Dot Com Lifestyle Scam Or Not | Checking For A Scam, So You Don't Have To. Good Afternoon, everyone I hope your day is going well so far. Today we have a system that says we are going to live the “Ultimate Dot Com Lifestyle” sounds good. But, we have heard all these big claims before so were going to see if these big claims are a Scam or Not. The Dot Com Lifestyle is one where you have freedom, you have time, and you have money to spend. The best part of this lifestyle is your can do it from anywhere in the world your want. No more sitting at a desk all day punching in at 8am and working till who knows 5, 6, 10pm. This sounds like a dream, it’s the lifestyle I have been looking for even though I now live where I want. This is what John Chow is going to show us. John, is going to show us how he did it as well as how we can do it too. He is going to make it simple and tell us not only what we need to do, but why we haven’t made money online so far. His English is not very good nor is his grammar despite that he says he has made millions online. I know what your going to say we have heard this all before, and I agree we have. He claims that people in 37 countries have made over $56 million dollars with this system. OK, so he has my interest that’s a lot of dough! John wants to get a couple things out of the way before he gets into his 21-step system. This Sounds Like Just Another Scam! Well, of course he says we are 100% wrong, as I said earlier he claims this is no scam. With this system anyone can make money with his 21 steps. Now did you really think he was going to say any different, of course not. He did say that his results are not normal, I give him credit for that. John is know as the blogger that makes money online by telling people how much money he makes online. I have never heard this before now, I guess you can be known as anything you want if you tell enough people. He also claims that when it comes to making money online, he literally wrote the book on it. This is a pretty bold claim. I think this gives you a pretty good idea of what John thinks of himself. He even goes as far as to tell us he grew up with no running water, no electricity, no stove. They had to cook outside over an open fire and get water from the well with a bucket. I’m not sure what that has to do with his? system. First he says that this is a new system is that true? To answer this I will ask you a question first. Have you ever heard of MOBE and Matt Lloyd? For those of you who don’t know MOBE is short for “My Online Business Education” and you guessed it Matt Lloyd is the founder of MOBE. Now, I am guessing your saying what the hell does this have to do with the price of tea? Now MTTB is supposed to give the purchaser the opportunity to make thousands of dollars in commissions by promoting it to others. What gets tricky is instead of selling it for what it really is MTTB, John Chow, just slapped a new name on it “Ultimate Dot Com Lifestyle”. The thing is you will be sent to the MTTB website after you buy “his” program. I feel like your saying how could this be possible? If you are selling a bunch of these systems Matt Lloyd is not going to care because he is making money from everyone he gets sold. This is not the only time this has happened I just did a review on another system called “My Online Franchise” they are doing the same thing. The real issue here is you have to have the help of your personal coach to unlock the next steps. Now if you know anything about MOBE you know there are tons of up-sells so be ready for the push every time you need to unlock a new step. After, you get to the 6th step your done with having to get the help of your coach to move forward. The rest of the steps to 21 will be all unlocked. So you would think that would put an end to the nightmare, well guess again. Once your at the 6th and final unlock ceremony get ready for the big push. Allow me to explain, when you get to the 6th step your going to get hit with something called MLR. MLR might come as a shock to you, first MLR means MOBE Licensing Rights. I feel like you are getting the picture, but just to make it perfectly clear as to what all this means. If, you plan on trying to make the big bucks you have to purchase the MOBE Licensing Rights. I really hope your sitting down and you don’t have anything in your mouth I wouldn’t want you to get your computer a mess when I tell you how much this license is going to set you back. To be fair you don’t have to buy the license, but if you don’t your earning potential just went down the toilet. 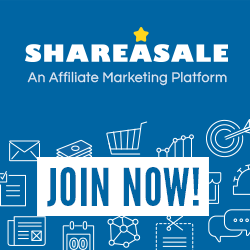 So, if you were to decline you will stay at the affiliate commission of $20 per sale. How many would you have to sell to make a living off of a $20 commission. I think I have left you wondering for long enough the cost of the license is going to set you back $1,997 you read that right $1,997. You need to purchase this license to have the right to promote MOBE and all the products at the high tier commissions. Until, you have a chance to read the review on “My Online Franchise” I am going to share with you how much some other up-sells are going to cost you. But, before we go there I think I should explain one more thing. Besides having to buy the license for the $1,997, if you want to make a commission off of one of these high tier products you have to buy the product. Let’s just say you didn’t purchase the certain product that you sold the commission would pass up the next person in your up line that has purchased that same product. This whole program is based on MLM, Multi-Level Marketing. There are 5 levels you can get in at and each one raises your possible commission. What I mean is you get paid up to the level you have paid into. These are right from the review on “My Online Franchise” and those came right from the MOBE website. If you sign up as an affiliate it’s going to cost $19/month, if you sign up for the 21 step program it’s $49/month, plus the cost of the up-sells this is such a small sample of the up-sells. MOBE “My Online Business Education” is not a Scam, I know you might be thinking? What! I can’t say it’s a scam one because it doesn’t fit all the criteria to be a Scam and two people do make money with this program. With that being said, it’s a very costly way to try to make some money. There are no guarantees and it takes an extreme amount of work to make this system well, work. There are a bunch of people that are not happy about the program, but we don’t know how much work they put into it. Anytime someone spends a large sum of money or even a small sum, and then does not see a return on that money, Scam is bound to come up. I am not saying I agree with this program and I do not support this program. I don’t like the hiding of what the real program you are buying is. This is just plain shady, but I am not willing to say the whole program is a Scam. The biggest problem with the MOBE system is finding others that are willing to spend thousands of dollars. There is a ton of money to be made, but how many will actually do it. What you need to know is the 1% that do very well, already have a huge following so they have people lined up to sell to. The real bottom line is there are better ways to make money online, there are better systems. My number one pick is Wealthy Affiliate, there are so many great things about this training. It’s always up to date, live video training every week, the biggest and best online community on the web. Ask the community a question the average response time is less than 2 minutes. Let’s say you don’t think that’s enough well there is more much more, you can talk to the founders of the company. Oh ya, it’s FREE to try you can remain a FREE member for as long as you like. If, you like what you see you can sign up for a premium membership and that’s it your all in. No crazy up-sells, no more training to buy, everything you need to build a successful online business for one low price. Next Post:Profit With Alex – Or Alex Profits From You?